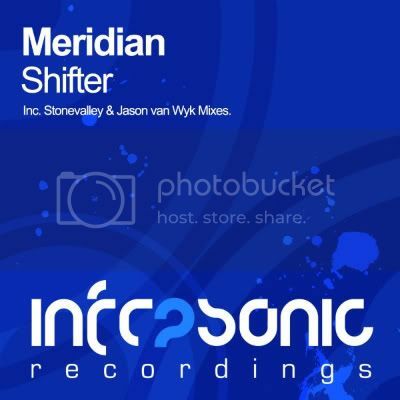 Meridian - Shifter [Infrasonic] | OUT NOW! 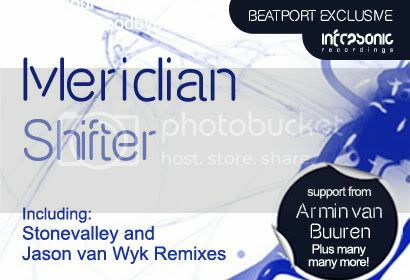 Thread: Meridian - Shifter [Infrasonic] | OUT NOW! Fast approaching release number 60, Infrasonic supply yet more yummy goodness with another standout track from fans favourite Meridian. After supplying one of our biggest releases to date back in 2007, Meridian has become one of our most consistent performers such is the quality of his work, and this is no exception. Shifter is one of those tracks that really gets you hot under the collar. Big atmospheric pads and a warm piano set the tone, before a glorious lead and carefully placed vocal stabs take the track to dizzy heights. Two of the fastest rising producers in the EDM scene supply remix duties. First up Stonevalley picks up the pace with a peak time re-work packed full of signature sounds, while South African Jason van Wyk lowers the tone with a slick, progressive interpretation for good measure. Another massive outing for the man they call Meridian!